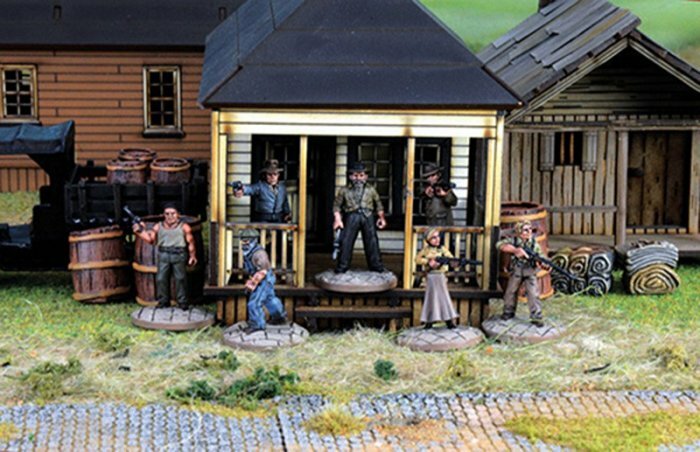 Boxed gang of 7 Moonshiners including special rules card and bases. Models are 28mm sized metal figures, supplied unpainted. May be supplied unboxed.